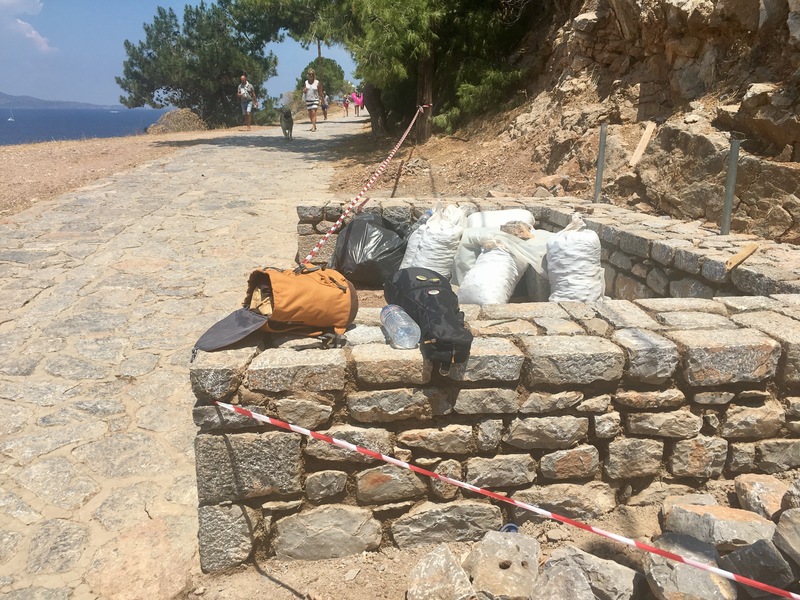 I hope the bench project gets to stay in Hydra. The location chosen and the bench area seems to be perfect. If not I would love to see it in Montreal. I would say it would be important to have it in a place Leonard's family would feel comfortable with. Here's hoping for Hydra! Last edited by mutti on Tue Jan 31, 2017 4:24 pm, edited 2 times in total. It's beginning to look like those of you lucky enough to go to Hydra this summer may get to see Leonard's birthday bench. I remember the thrill when we heard that he had read our names. I think of him a lot. Olwen wrote: It's beginning to look like those of you lucky enough to go to Hydra this summer may get to see Leonard's birthday bench. I remember the thrill when we heard that he had read our names. I think of him a lot. My sentiments exactly, Olwen! If I can't be there in person at least my name will be! Time for another update, thanks to Lakis! Some light in the tunnel, but the problem has not yet been solved. Let's keep fingers crossed. Hydra's mayor, Mr. George Koukoudakis and the organizer of cultural happenings on the island, Mr. Panagiotis Rappas have gone twice to Athens to discuss our project at the Archeological Office. The Office has informed them that the original plan will not be accepted because there are no similar objects on the island. They want our bench to follow the traditional style of the island. Following this and the long delay in the project, our original architect Mr. George Xydis has retired. There is now a new plan made by Mr. Andronikos, an experienced architect who has been working for years on new and renovated buildings on Hydra. The plan will be presented to the board of archeologists in Athens next week. Later this month it will be discussed at the Municipal Council. 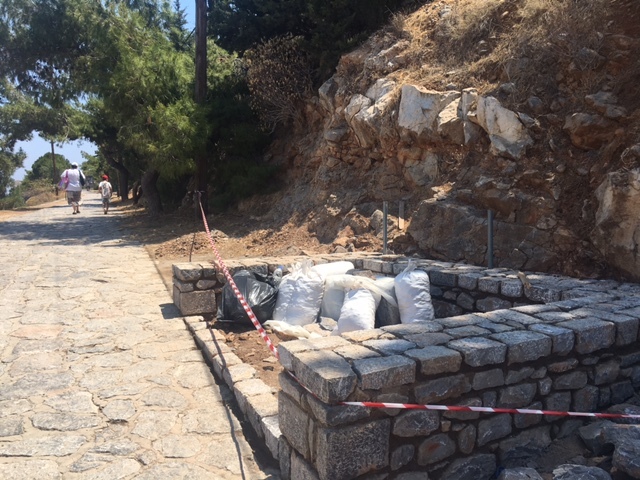 The bench can be built in 1-2 weeks after approval from Athens and the Council. We have not yet seen the new plan. I hope to get it after the meeting in Athens, and will post it here. Thanks for the update Jarkko! I salute and admire the patience and stamina of all those that have been involved in realizing this project but fear that this whole bureaucratic dragging will last for years to come. First it was a permit issue, then a neighbor that complained and now it is an architectural issue? Where almost two years down the road and it seems that the whole process is starting all over again. There have been suggestions on another place where the bench can be placed (Canada amongst them). I would suggest that if by the end of the summer there is still no definitive plan and approval we move forward and take back control in realizing this wonderful bench in a place were it is appreciated. I got this promising email from George Xydis, the architect who made the original plans (members who were on the island two years ago at our meetup have met him). He is working on the project again. Some good news at last for the Bench project! After meeting with the director of the Archaelogy Service in her Pireaus offices we agreed to a meeting on the island, so that I could explain the project to her. We met on Hydra last Wednesday. After mutual discussion and explanations (the Ministry's delays was one), we finally decided that the project can be re-examined by the Monuments Council the soonest, so that the works can start. She did not agree about the letters of Leonard's poem on the rock-surface, as the surface is quite uneven, and I tend to agree. I will submit the soonest a new dossier with the same proposal, minus the letters. That emoticon is very promising . Can't wait to go to Hydra in a couple of weeks. simple than the original plan. I don't know however what exactly the new plan looks like. I just came back from Hydra. It's such a pity that I was unaware of the upcoming meeting next weekend... I'd love to be there with all L.C. 's fans to celebrate his (many) gift(s) to us. I was wondering... Can I still contribute for the bench? I would really love to be a part of this. Thank you. We had the fund raising campaign three years ago (we wanted to celebrate Leonard's 80th birthday in September 2014 but some local Greek problems have delayed it until now; now it will be dedicated to Leonard's memory). Our members donated more than we need for the bench. The surplus is waiting to be donated to local charity but we have had the project on hold while waiting the bench to be ready. For the time being the accounts that we used back in 2014 are closed, but we could think of re-opening them. Any new money would also go to charity. I think we will discuss this on Hydra next weekend.